Japan, are you doing okay? You wanna talk about something? 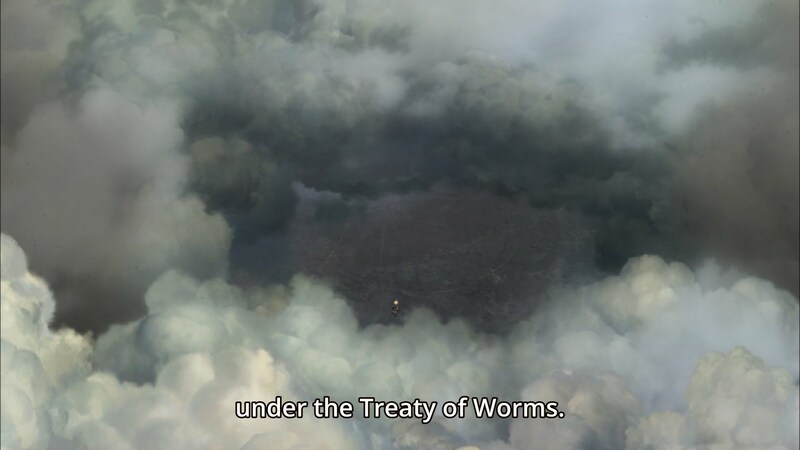 This is the second season in a row where we’ve had an anime about a “European” conflict involving both magic and standard military technology. From what I read in the synopsis, my perception was that the setting would be more modern than it was historical, and that is partially my fault from not looking at the PV close enough. Just from looking at it, you can tell the weaponry is not fully modernized, and the stylistic designs of the uniforms are not modern at all. I will also fully admit that mixing militaristic ideas with fantasy elements is not really something I’m innately interested in. Although, what I am interested in is looking at a non-realistic portrayal of the less glorified aspects of war. Using fantasy elements as a way to emphasize the physical and mental destruction caused by war is something I’d love to see from this show. That’s basically a nuke. A magically generated nuke. We can already start seeing this concept depicted in the first episode, as Tanya the Evil could easily be mistaken for a good person until near the end of the episode, where it’s revealed that she plotted the murder of two subordinates that went against her orders. While I do feel that some of the build-up could have been done in less time, I think this episode provided the significant punch that effectively showed the true definition of her character. The way this was done was actually handled well, as I never realized that the point of the episode was to build up her character and instead, thought it would be focused on building up the politics behind this ongoing war. The underlying issue with this episode’s focus on characterization though, is the massive amount of exposition being done about various events taking place in the setting, yet none of it really seems to explain the details needed for the viewer to really grasp the workings of the world itself. This isn’t an instance where the directing and animation are directly giving us information either, as most explanation is being done in the form of lengthy and drawn-out dialogue sequences, something that light novel adaptations have always been criticized of doing. In a previous post, I defended the concept of giving the viewer information through dialogue instead of the well-praised, tried-and-true method of “show, don’t tell”. 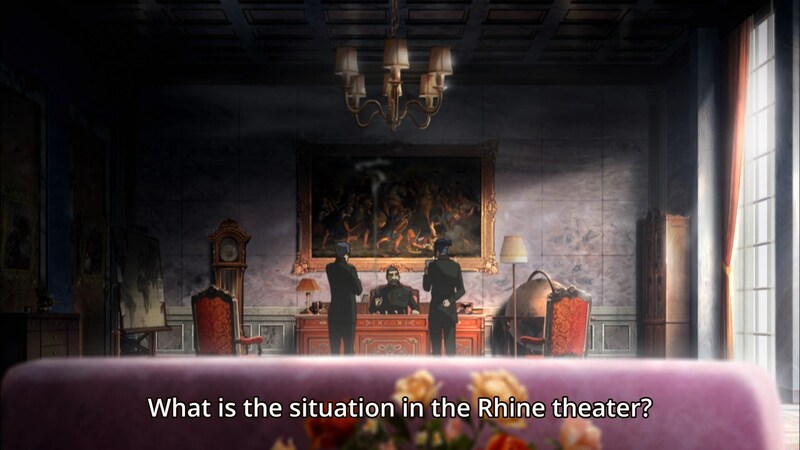 However, expositions are most effective when the dialogue can lend itself to another part of the story, for example either character exploration or world-building, leaving the animation for creativity and quirkiness — something that I can’t see Youjo Senki doing easily because of the heavy reliance of animation focused around the militaristic setting. The animation itself for the first episode was focused upon two things: feeling the importance that these battles had upon the armies and showing the militaristic might of the armies fighting with one another. While we never got a definite explanation as to why the war was waged initially, we do know that the army of the Fatherland is backed into a corner and is desperately fighting to regain their advantage. 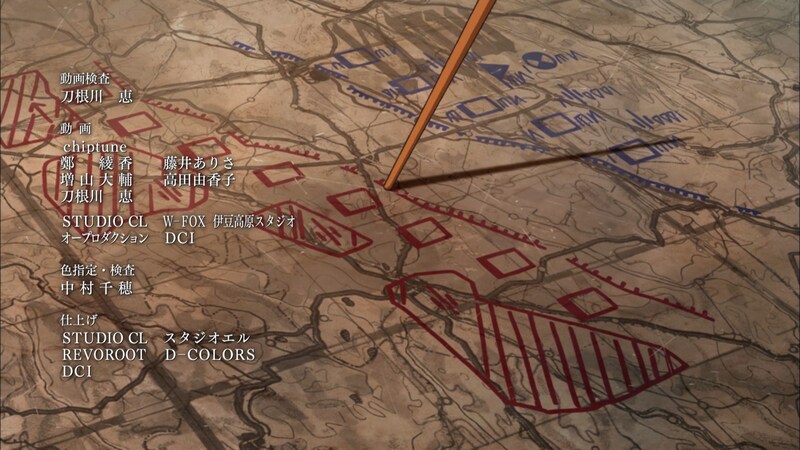 Most of this information is given to us via on-screen maps placed throughout the episode, some being more useful than others in terms of the information they provided. 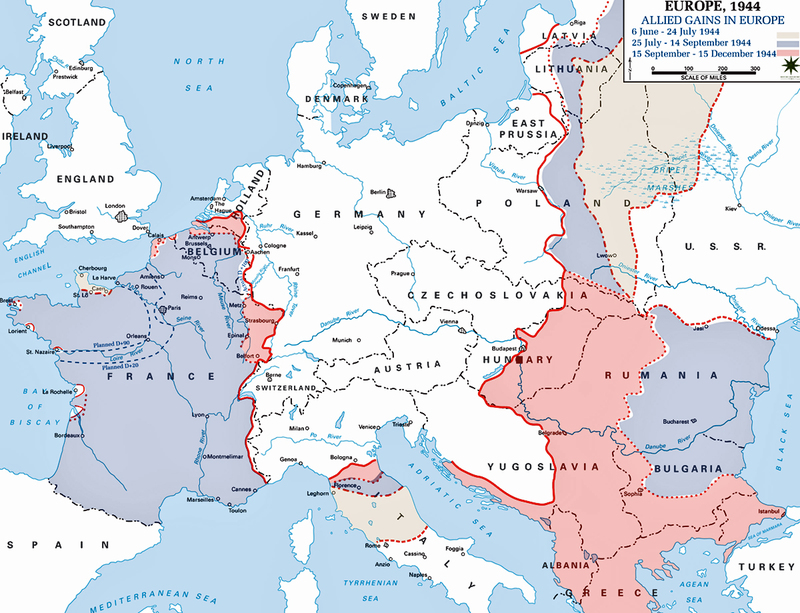 A primary example of this would be the first map displayed on the screen to the viewer, showing the country placement of the Fatherland and the surrounding countries, oddly resembling a European map of World War II in 1944, albeit with some minor alterations. 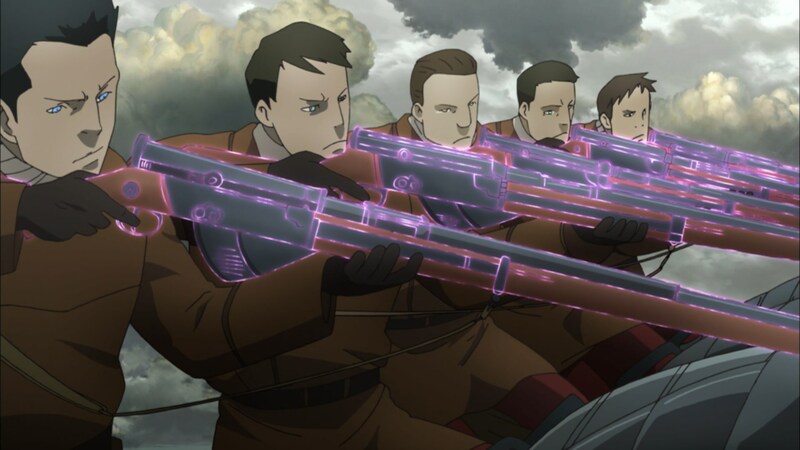 While the anime did reveal the year that this takes place in (1924) and the weaponry shown to the viewer seems to resemble more of World War I, we can safely presume that this setting is at least resembling the early-mid 20th century, even if the anime itself dissuades us from making any direct correlations to real-world events. I sure do love my fictitious map of “Not Europe”! The locations displayed on the map are hardly readable, but it wouldn’t be a stretch to say that “Not England” is “Commonwealth”, “Not Germany” is “Fatherland”, and “Not France” is “France Republic” based on this map alone. 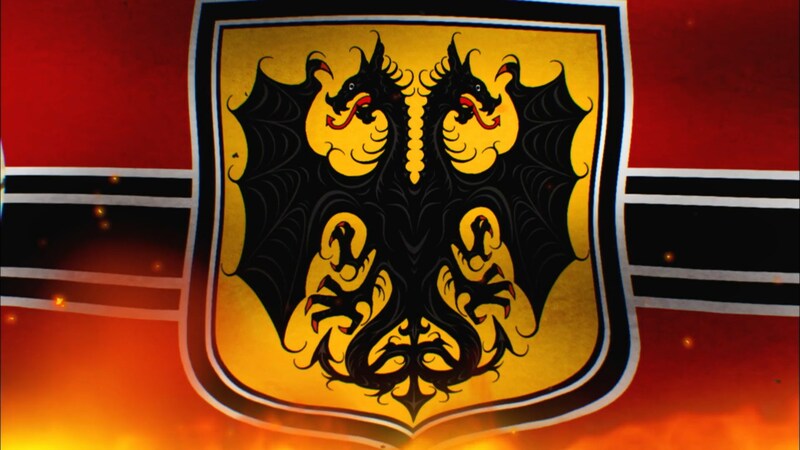 Not to mention that Worms and the Rhineland are brought up in the dialogue, both being prominent locations for battles of Germany during both World Wars, with the dragon on the Rhineland coat of arms stylistically resembling the dueling dragons on the Fatherland’s native flag. 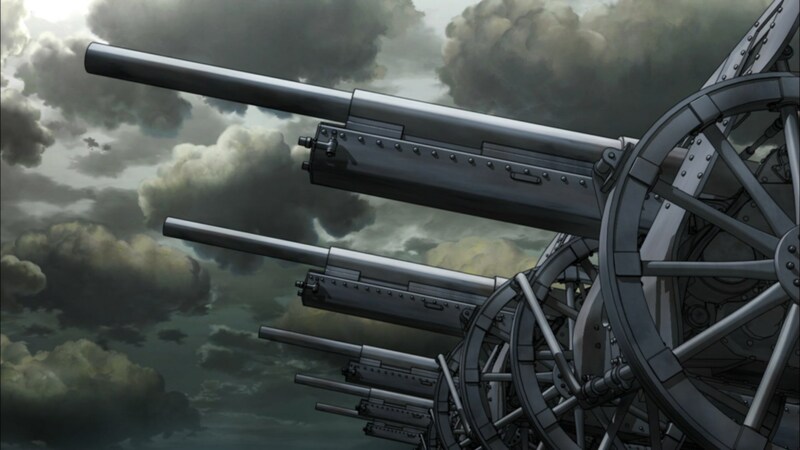 Putting this information together with the nature of the uniforms, the way Tanya herself is portrayed as evil, even down to the artillery used by the Fatherland, the anime does all but state that this is a bastardized portrayal of least one of the two World Wars. However, with the massive amount of information provided to the viewer at once through both the visuals and the dialogue itself, we still know very little about the world that these characters are in. 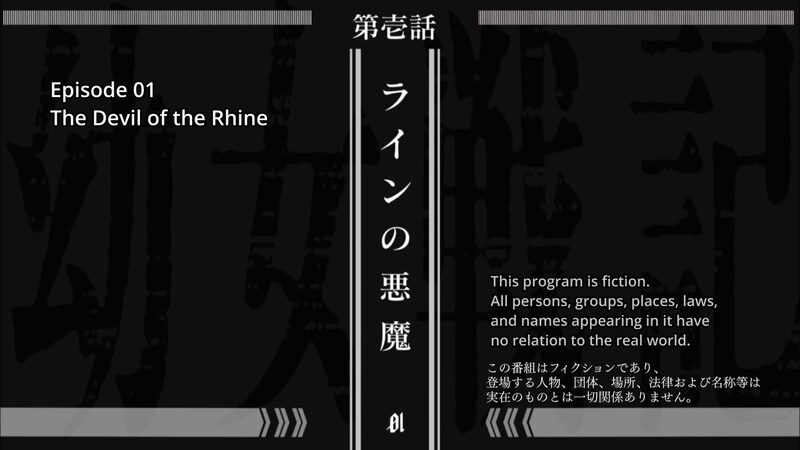 There are a lot of questions that go unanswered about the war itself, and especially about the use of the elements of magical warfare that happens within the episode. 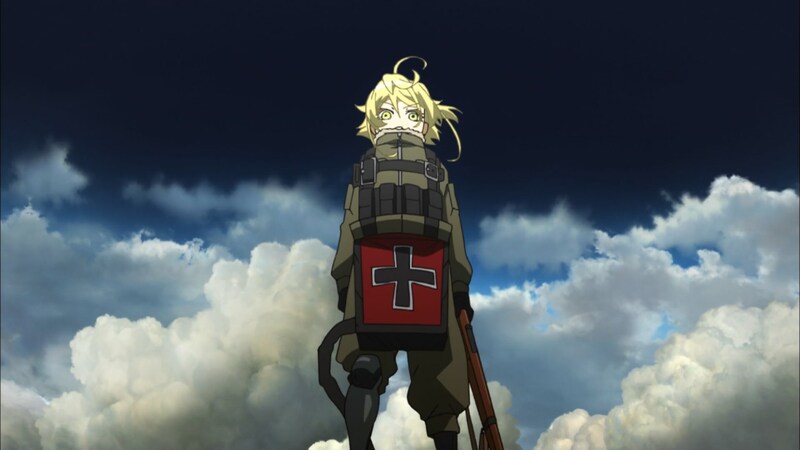 Most of this time is spent explaining details that have no meaning as of yet, or about how brutal Tanya is in terms of her military-leading capabilities, but I assume we’ll learn more about both as the show progresses into further episodes. While I do find the idea of slow world-building fascinating in its own way, I also feel that this episode could have taken less time to do what it did. 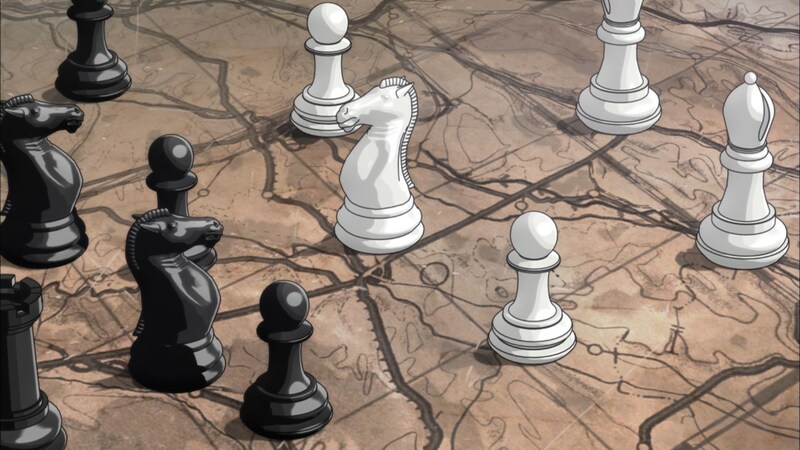 I don’t really think I needed two full minutes of generals arguing over the desperation of the Fatherland’s situation while arbitrarily placing chess pieces on a tactical map or an entire minute of explanation on the deadly effects of a magical explosion. Both of these conversations resulted in white noise that meant very little to me, as I don’t have any emotional attachment to the enemy army to care how horrific this explosion was, nor do I have enough background history about the discussion between the generals to be fully invested in what they’re discussing. These two scenes in particular highlight Youjo Senki’s flaws in both narrative and visuals; however, the results produced aren’t exactly overly catastrophic on the work itself, as the episode flew by rather quickly and still managed to be entertaining. Many of the questions I have about the world will most likely be answered with time, allowing us to move on towards more interesting characterization for Tanya and Viktoriya. Until then, I’ll just have to blindly accept the lack of explanations for the basis of this world and form my own ideas about the development and inner workings of the world given to me. That explanation could easily be an alternative World War conflict, and no episode end card can stop me from thinking that until proven otherwise.